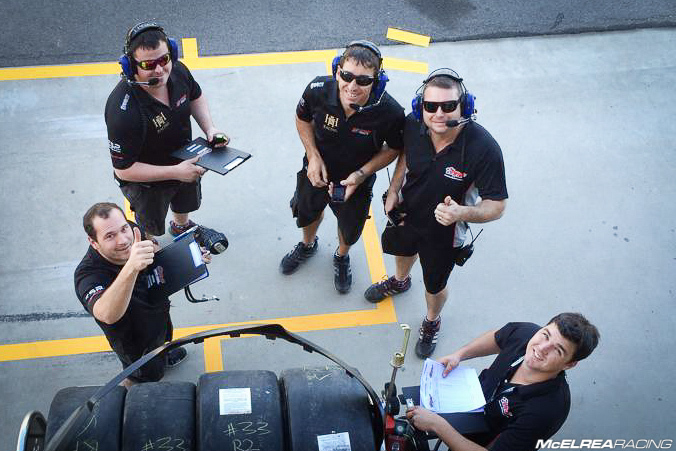 We always look forward to Townsville, it’s like a tropical racing holiday in the middle of winter for the Awesome MR Crew (AMRC). 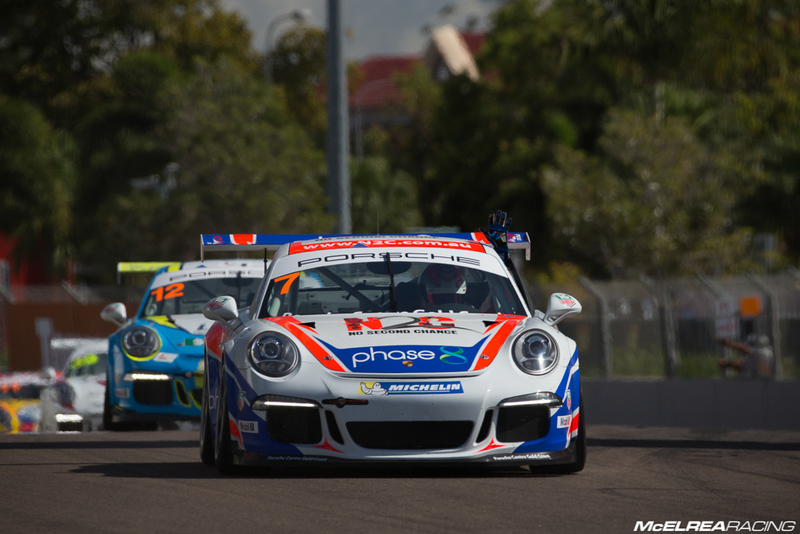 Townsville was all-set to be another big weekend for the AMRC with us once again running six cars in two separate categories. 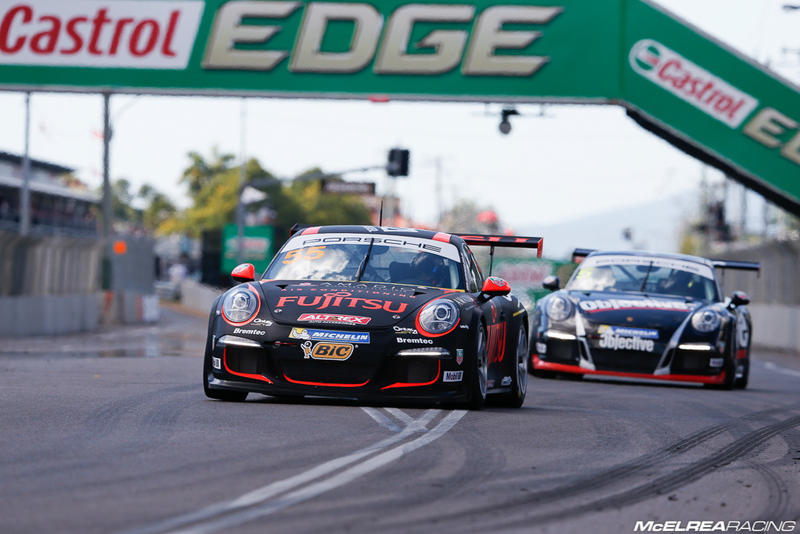 The usual four cars of Luff, Davies, Walls and Gracie in the Carrera Cup as well as Hovey and Ellingham in the Australian GT Championship (AGT). Whilst it wasn’t exactly a holiday, the weather was fantastic and the end result of the weekend was Renee getting another ‘Top 10 Outright’ Carrera Cup race finish and a 3rd place in the AGT ‘Trophy’ Class for Michael Hovey after a fantastic drive against some far more exotic (and much more expensive) machinery. Tony Walls had a great incident free weekend finishing 4th in Elite class while Simon Ellingham continued his great progress in his first AGT race weekend without a Co-Driver. Luffy qualified 2nd but was quite comfortable to be starting Race 1 on the front row of the grid. He did his usual top quality work to finish 2nd in the first two races and was running 2nd in Race 3 until the incident with Shae. He went into Townsville with a 54 point lead over Richards in the Pro and Outright Championship standings and left on equal points leaving the championship wide open at the halfway point! Luff and Richards are now on equal points for the Championship..!! Shae qualified 5th after getting into traffic on his key laps. From his data we knew he had plenty of speed and we were confident of a great weekend. He continued to show great pace in all three races to finish 4th, 3rd and heading for 2nd in Race 3 until contact with Luffy. Once again he has proven this weekend that he can be at the very front of this intensely competitive championship and must be very close to first round win in Carrera Cup..!! Davies had plenty of speed all weekend..!! 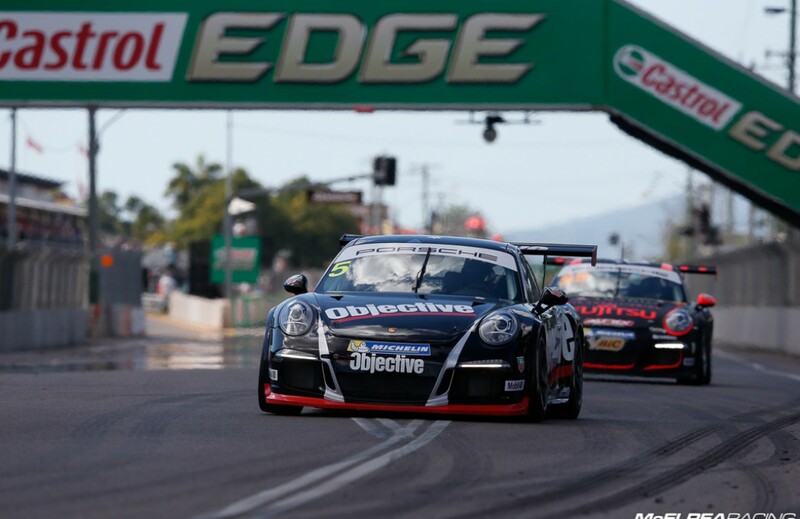 ‘Princess’ continued her steep learning curve to record her third ‘Top 10 Outright’ finish in Race 3 at Townsville. She qualified 16th outright (11th in Pro) in the 23 car field which meant she was 1 place off our ‘Top 15’ goal for this season. Renee struggled with her starts in Race 1 and 2 but got it sorted for Race 3. Race results were 15th, 16th and an well-deserved 10th in Race 3. It is extremely pleasing for the team to see her development and certainty with her feedback to the Team Engineers and input into tyre and set-up strategies. Gracie recorded her third 'Top 10 Outright' finish in Race 3..!! 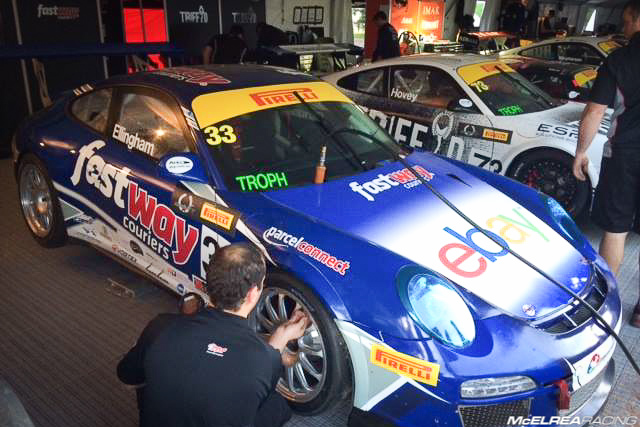 ‘Wallsy’ bounced back well from a tough Pro-Am round at Phillip Island to qualify 6th in Elite class (17th outright). Tony had his trademark blinder start in race 1 to set up his weekend leading to an impressive 12th outright. He had a decent dice with team-mate Renee in both race 2 and ending up ahead in race 2 and conceding to Princess’s pace on new tyres in race 3.
Business commitments have kept Wallsy’s test schedule quiet this season but the team is certain a test before the next round at Eastern Creek will accelerate his progress even further. ‘Hoves’ qualified 16th outright and 7th in Trophy Class. Hoves drove the race of his life with a great combination of consistent pace and race intelligence during a wild Race 1. His reward was an incredible 7th outright and 2nd in Trophy class. He kept up the tempo to finish 9th outright and 3rd in class then 13th outright and 5th in Trophy in races 2 and 3 respectively. A great weekend for Hovey and a just reward for his commitment to the AGT Championship. Simon qualified 19th outright and 9th in Trophy Class. It was fantastic to see how much Simon improved as a race driver over the weekend at Townville. 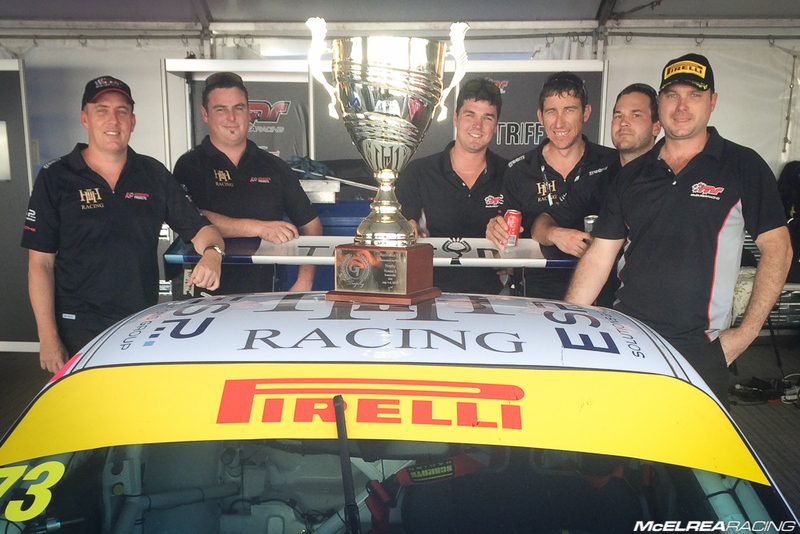 The format of three 40 minute races gave the MR team plenty of time to work with Simon and fast-track his development. We are very excited about the prospect of running Simon in the next GT3 Cup Challenge round at Qld Raceway before returning to the AGT Championship at Eastern Creek on 22-24 August. 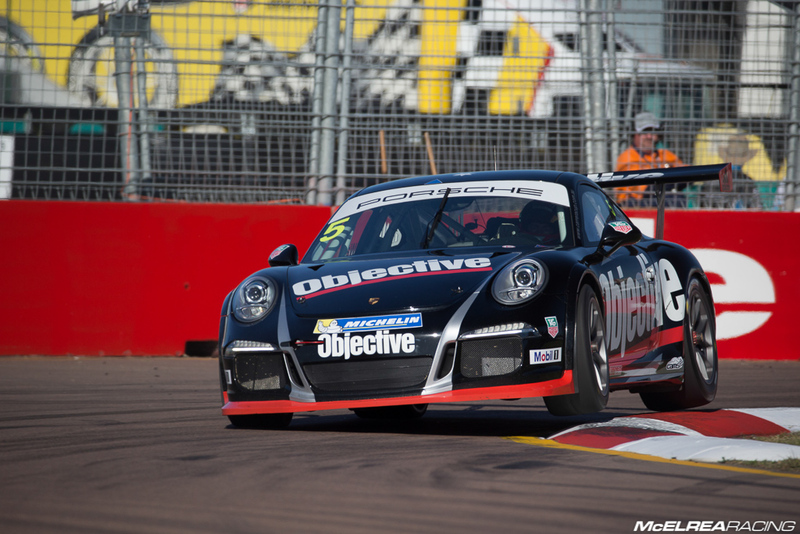 Simon Ellingham continued to improve on the streets of Townsville..!! It was obviously disappointing that Luffy and Shae came together in the final race when both were heading for the podium. We will never shy away from having more than one championship contender in our team and we don’t apply team orders so the inevitable result is that extremely competitive drivers will sometimes end up in the same place at the same time. We have been through this when Jonny Reid and Michael Patrizi clashed at Surfers Paradise in 2011, but the difference here is this was not an intentional attempt by one driver to take another off. And more importantly there is plenty of time left in the championship for both Shae and Luffy to make up lost ground. On a positive note it was brilliant to see Michael Hovey get his first Podium finish in AGT Trophy class and Renee, Wallsy and Simon all had good strong productive weekends. 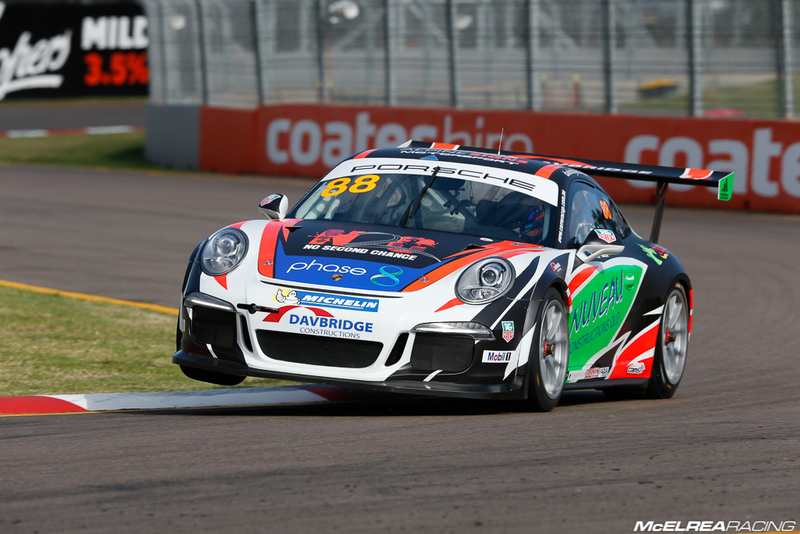 We are now working towards Round 5 of GT3 Cup Challenge at Queensland Raceway in a few weeks with the Carrera Cup set to resume in late August at Eastern Creek. 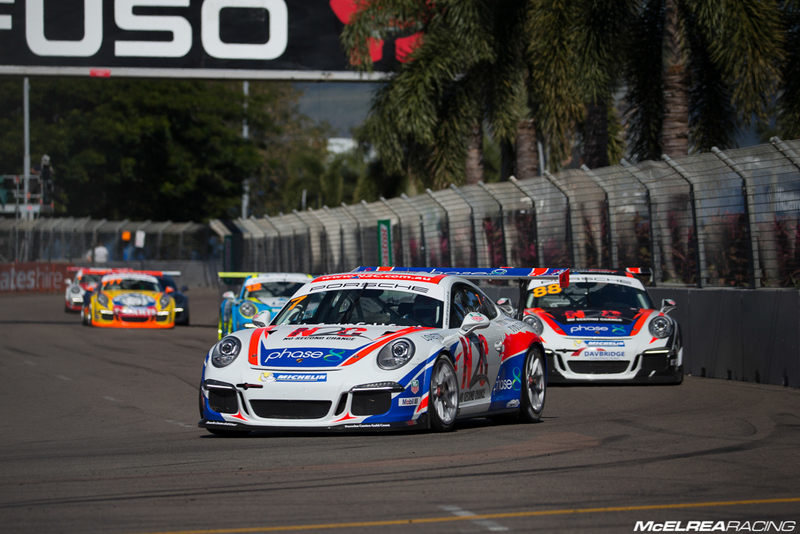 Thanks to all our partners and supporters for keeping in touch and following us on our journey so far in the 2014 Carrera Cup and Australian GT Championships..! !